I saw the same movie twice last night. 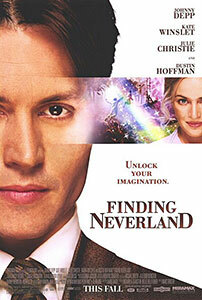 The first time it was called Finding Neverland ; the second, Spanglish . …played by a fabulous babe. …but leaves before the relationship is consumated. Eventually, for Peter Pan . …but still wants seats set aside for special guests. …and there’s a large dog that chases balls. Chum, an overweight Golden Lab.